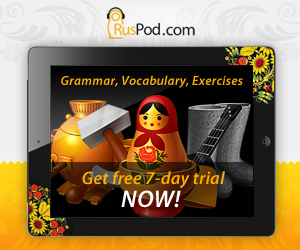 As you may know, Russian verbs have only three tenses: past, present and future. However this is complicated by existence of the category of aspect. 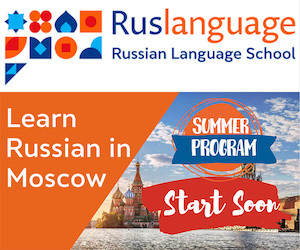 It usually causes difficulties for English speakers as verb aspect in English is completely different from that in Russian. Aspect is a system of verb pairs. For example, the English verb "to look" has the corresponding Russian verb pair смотреть - посмотреть. There are two aspects of verbs in Russian: perfective and imperfective. Perfective verbs answer the question "что сделать?" (спеть, пригнуть, разбить), while imperfective verbs answer the question "что делать?" (играть, рисовать, читать). Perfective verbs emphasize the completion of the action or the result (начертить, поймать, спеть). Imperfective verbs show the continuation and repetition of the action (ловить, прощать, понимать). It is possible for perfective and imperfective verbs to have equal vocabulary meaning, as the following verbs do: сажать (impf.) - посадить (pf. ); удваивать - удвоить; достигать - достигнуть. But it is more common for them to have some shades of meaning, for example: читать (impf.) - прочитать (pf.) - вычитать (pf. ); шить - расшить; строгать - обстрогать. On the other hand, imperfective verbs are formed from perfective verbs with the help of such suffixes as -ыва, -ива, -а, -ва (пересчитать - пересчитывать, раскачать - раскачивать, расстелить - расстелать, подлить - подливать). a. Define the aspect of the verbs in the following sentences? 1. Во весь опор назад он скачет. 2. С середины неба глядит месяц. b. Form an aspect pair for the following verbs? c. What method is used to form the perfective verb in the pair "искать - поискать"?